The Evaluating Committee (COMEV) is composed of six (6) members. Quebec, Canada and the Cree nation government shall each appoint two (2) members. Daniel Berrouard is a biologist at the Ministère du Développement Durable, de l’Environnement et de la Lutte contre les Changements Climatiques, where he is Coordinator of Aboriginal Affairs. He has worked on northern environmental issues for the MDDELCC for over 35 years. In the course of his career, he and his family made their home for some ten years in the Eeyou Istchee/ Baie-James Territory. His earliest experiences in Eeyou Istchee date back to 1973, when he was a student at the Centre d’études nordiques at Université Laval. From 2006 to 2010, he was head of the wildlife management service for Northern Quebec. He is currently a member of the Evaluating Committee (COMEV), the Review Committee (COMEX) and the Kativik Environmental Quality Commission (KEQC). He has also been a member of the James Bay Advisory Committee on the Environment (JBACE) and the Hunting, Fishing and Trapping Coordinating Committee (HFTCC). Alexandra Roio is an expert in environmental biogeosciences and is a manager at the Ministère du Développement Durable, de l’Environnement et de la Lutte contre les Changements Climatiques and is the director of Climate Expertise Department. During her career, she had worked for several years in the field of integrated water management, agroforestry and the rehabilitation of degraded sites. She has also been a manager and coordinator in the field of physical training and social reintegration of young adults. She is currently a member of the Evaluating Committee (COMEV) and is involved in the work of the modernization of the Environment Quality Act. 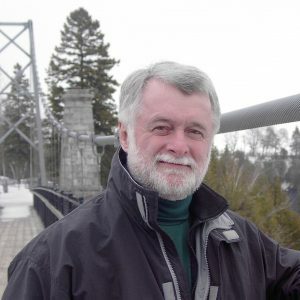 With a bachelor’s degree in biology with a concentration in ecology from Sherbrooke University, Louis Breton abandoned his master’s degree studies in animal ecology to begin his professional career in 1990. He then worked for a consulting firm under contract to Hydro-Québec. He was involved in preparing a sectoral report for the environmental impact study on the Grande-Baleine complex. In 1991, he joined Environment Canada’s Canadian Wildlife Service. Since 1998, he has been working for the Environmental Assessment program at Environment and Climate Change Canada. Louis Breton is the regional coordinator of the program and in this capacity, he regularly acts as the spokesperson and resource for his Department at public hearings or on review panels. He was appointed to COMEV by the government of Canada in september 2011 and was chairman of COMEV in 2014-2015. 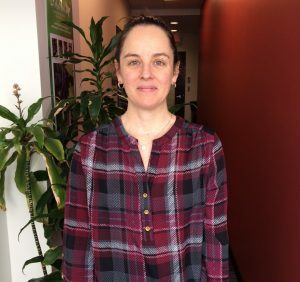 Geneviève Bélanger has been a project manager at the Canadian Environmental Assessment Agency since 2015. She is responsible for conducting federal environmental assessments of major development projects and regularly participates in public and Native consultations, including projects on the territory of the James Bay and Northern Quebec Agreement (JBNQA). 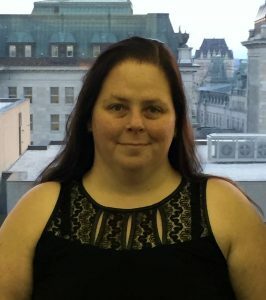 Geneviève Bélanger is currently executive secretary of the North and South Federal Review Committees (COFEX North and South) and the Screening Committee, all of which are established under the JBNQA. She has also worked as a biologist at Fisheries and Oceans Canada for more than 10 years on project analysis, authorization and monitoring. Geneviève Bélanger holds a master’s degree in wildlife and habitat management and a bachelor’s degree in biology with specialization in wildlife management. She was appointed to COMEV by the Government of Canada since 2018. 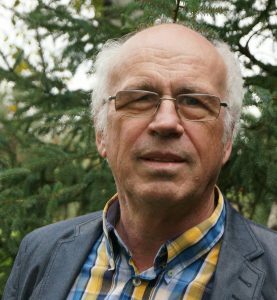 Brian Craik, born in South Porcupine Ontario in 1948, is an anthropologist who has worked on aboriginal issues in Canada since 1972. He has studied Cree culture and language and presently works in english, cree and french. He is a Cree-appointed member of the COMEV, the COMEX and of the Eeyou Marine Region Impact Review Board. He coordinates Cree-federal relations and has been a member of the Cree negotiation teams for agreements on human resource development, hydroelectric development, Cree-Canada relations, offshore rights in James and Hudson bays and Cree governance. In addition to working with the Crees, he has worked with the Conn River Micmacs, the Inuit of Northern Quebec, the Lubicon Crees of Albert and the government of Canada. 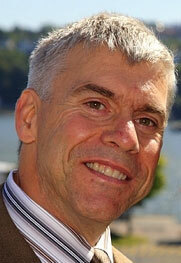 John Paul Murdoch is a partner and the founder of the law firm Murdoch Archambault Avocats. Member of the Cree Nation of Quebec, Me John Paul Murdoch became the first of his nation to be called to the Quebec Bar. 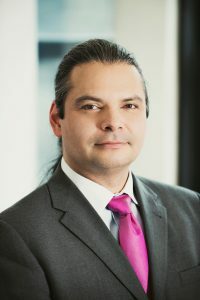 Since his admission in 2001, he has learned to weave the lessons and values of his native ancestry into his legal practice in Northern Quebec. He presently holds the position of Secretary of the Cree Nation Government. He acted as an ambassador for his people and community to the European Parliament, the United Nations Organization and the National Assembly of Quebec. Me John Paul Murdoch speaks cree, english, french and spanish. His practice is located in Wemindji, James Bay. In addition to Aboriginal law, he practices corporate and administrative law. He acts as a legal advisor for several aboriginal organizations. He has conducted major negotiations involving hydroelectric, mining, wind energy and forestry developments. In 2002, he participated in negotiations that led to the Agreement Respecting a New Relationship Between the Cree Nation and the Government of Quebec (known as the Paix des Braves), managing the hydroelectricity component of the talks. He was the president of a major aboriginal financial consortium which awarded over 600 million dollars in construction contracts. Me Murdoch was responsible for establishing the Niskamoon Corporation, which organizes concrete development activities in Northern Quebec and plays an important role in environmental monitoring programs for hydroelectric projects. He also contributed to successful conclusion of a collaboration agreement between the Cree Nation of Wemindji, the Cree Nation Government and the mining company Goldcorp, following negotiations concerning the development of the Eleonore project in Wemindji. Me Murdoch works to promote conciliation among different groups. He founded a partnership between the Cree and the Ngöbé-Buglé people of Panama through a solar energy project. He collaborated with the World Bank to improve its internal regulations regarding Aboriginal peoples. He also engaged in discussions with the Inter-American Development Bank. Finally, Me Murdoch recently participated in improving a community development program in the context of a large-scale oil project in the Sakhalin Islands in Russia. In the summer of 2007, Me Murdoch taught the course “Aboriginal Law on Cree Territory” for the Civil Law Section of the University of Ottawa’s Faculty of Law. This summer course focused on the Cree Nation’s internal laws, how these modern government laws manifest themselves and how relationships are developed with respect to them. Outside of his law practice, John Paul Murdoch is a professional artist, known for his large portraits and murals. His most recent works of art are on display in the conference room of his Montreal office, as well as in the Aboriginal Peoples Committee Room of the Senate of Canada in Ottawa.